LES MILLS has launched a range of affordable solutions for its indoor cycling experience THE TRIP, putting immersive fitness within reach of all clubs. When LES MILLS’ immersive indoor cycling experience THE TRIP™ burst onto the scene in 2014, it immediately wowed audiences with its wraparound, floor-to-ceiling video walls and cutting-edge content. The innovative new studio set-up drew exercisers so deeply into the experience that it felt as though they were characters in a computer game that was unfurling around them as they cycled – hence the term ‘immersive fitness’. Fast-forward a few years and THE TRIP can be found in a number of leading clubs around the world, to great effect. “THE TRIP is far and away the most popular cycling class we have,” says Bryan Jarrett of New York City’s TMPL club. “If I have a time slot that’s struggling, I put THE TRIP in it and it immediately fills up, whatever the time of day. People who’ve never cycled before, or who previously hated it, are now hooked.” There are many more examples like this from all corners of the globe. But the 180-270 degree wraparound experience, while becoming more affordable with every advance in technology, understandably remains financially out of reach for some smaller operators. For others, it simply requires too much space. 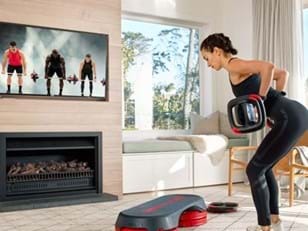 In a bid to make THE TRIP accessible to a far wider audience, LES MILLS has therefore been working on a menu of options ranging from an entry-level flatscreen solution to the full 180-270 degree experience – and everything in between. 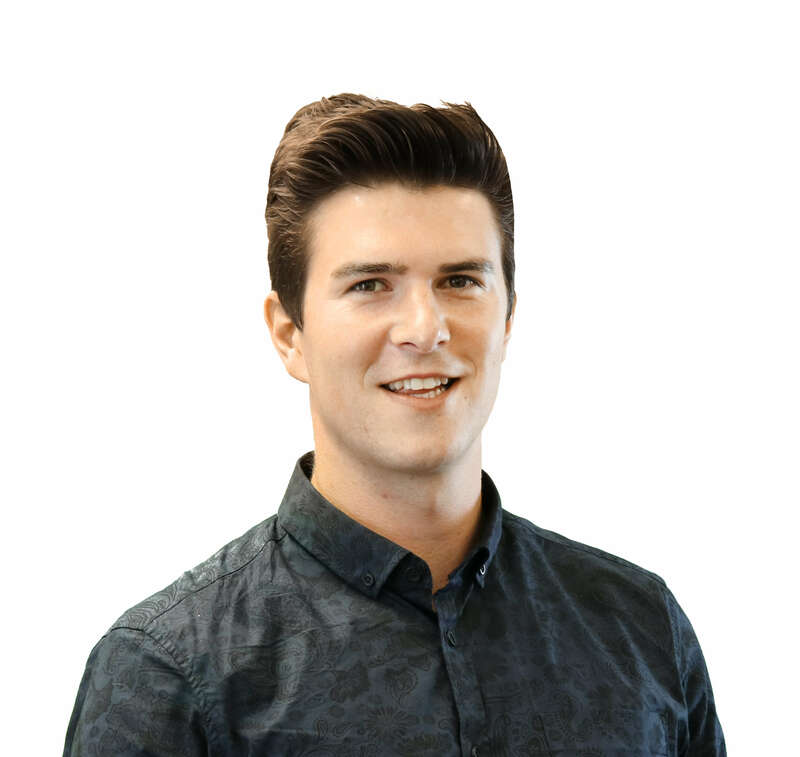 In all cases, the cinematic floor-to-ceiling screen shows the same content – content in which LES MILLS has invested millions of dollars to ensure every exerciser is fully immersed in the experience, so engaged with what they’re seeing that they barely realise how hard they’re working. The only obvious difference between the packages is the size of the screen… and the price tag. While the full version of THE TRIP blends five projection screens together to create the 180-270 degree effect with peripheral content, the new flatscreen solutions require clubs to invest in just one projector or screen option, displaying the central content while still delivering a full immersive experience. A recent Penn State University study, that was performed using the single projector – published in the American College of Sports Medicine (ACSM) journal Medicine & Science in Sports & Exercise – found THE TRIP retains its impact on participants, with novice cyclists working significantly harder during the class than they realised due to the immersive experience. The immersive qualities remain, but the new configuration opens up a wide range of possibilities. Put simply, the new options allow clubs that don't have the space for a 180-270 degree screen, or can't afford the capital cost, to nevertheless offer THE TRIP's immersive experience to their members. And bear in mind, there’s now a full range of options to create that wow factor. Depending on your available space and/or budget, you can have a projector set-up, tiled LCD video wall or an LED video wall for your flatscreen solution. Each has their own merits and as a general rule, biggest is always best for offering a top quality workout experience. LED video wall – The most premium solution for modern studio display setups. LED video walls are very bright and are the best option for rooms with lots of natural light. Another benefit is that these walls last much longer than projectors with bulbs and require minimal ongoing maintenance. With THE TRIP, a 4.5 metre LED can provide a high-quality, immersive effect for a studio of 30 bikes. LCD tiled video wall – Not quite as bright as an LED video wall, the LCD tiled video wall is still a good option where participants need to be close to the screen. LCD tiled video walls also last much longer than projectors with bulbs and require minimal maintenance once installed. A nine-screen tiled wall (around 3.3 metres wide) can provide a high quality, immersive effect for a studio of 20 bikes. Single projectors and screens – This is easily the most affordable display option in terms of initial outlay, but projection has the highest ongoing maintenance costs. This is largely because projection requires a darkened studio so blinds or other window treatments may be needed to provide the desired experience. We recommend a screen size of at least 3 metres (diagonal width) and a ratio of 16:9. A single projector set-up is beamed onto a flat screen, whereas the 2,3,4 and 5 projector options are displayed on a curved screen or wall. So how do the different packages compare? The obvious differences between the flatscreen and the five-player solutions lie in the number of projectors needed and the set-up costs. These costs vary depending on the type of AV system you choose, but the potential savings are substantial. It’s good news, then, for operators who’ve always loved THE TRIP, but until now haven’t had the space or the budget to install it. 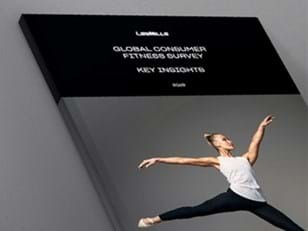 Thanks to continual advances in technology, LES MILLS’ new entry-level product means there truly is a TRIP for every budget. Read how THE TRIP has transformed the group fitness offering at West Wood Club in Dublin here.